For the first time in the industry, there exists a product that can duplicate and transfer the injection process from one wax injector to another by eliminating the injector’s personality. 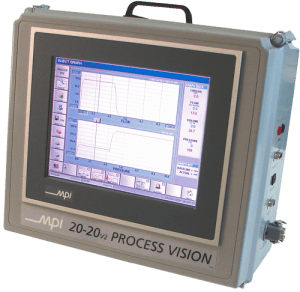 MPI’s Model 20-20 is a portable wax injection graphing unit that measures, records, and displays wax temperature, wax flow, and wax pressure, allowing you to achieve press-to-press pattern repeatability. 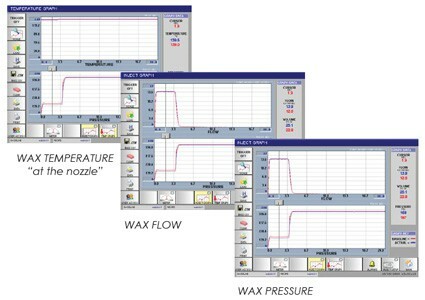 Once you verify that your process is within your control limits and the parameters for a good pattern are captured, the “recipe” can be used to quickly set-up the next run… on any wax injector, with predictable quality results.